Thursday greeted us with rain. Lots and lots of rain. Apparently it hasn’t rained on St. Thomas (worth writing home about) since March, so this storm is welcomed. It’s filling up the cisterns so that fresh water is readily available. The USVI is incredibly resourceful, the mainland US could learn thing or two from these people. After dropping Dan off at work, I went home to work and it rained all day long. Most of the day was like this, with a brief break at sunset, but you can see more rain coming in for tonight. 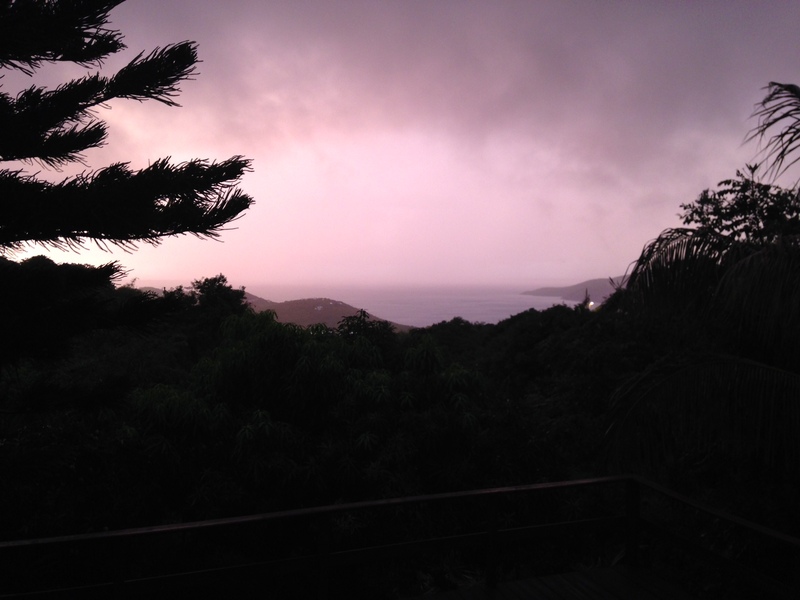 This entry was posted in Island Life, Work and tagged rain, rainstorm, St. Thomas, tropical weather, USVI, weather. Bookmark the permalink.